Saving the lives of 1 million cats in North American animal shelters over five years may be an audacious goal, but the Million Cat Challenge is halfway there. Founded by Dr. Julie Levy of the Maddie’s Shelter Medicine Program at the University of Florida and Dr. Kate Hurley of the UC Davis Koret Shelter Medicine Program in 2014, the Million Cat Challenge will hold an Internet party on April 11, 2016, to celebrate reaching its 500,000 milestone with the nearly 400 shelters across North America who are taking part. Levy is particularly proud of how well-represented Florida shelters are in the Challenge. “A total of 51 participating Florida animal shelters have saved 107,241 more cats in the first two years of the Challenge than they saved in the baseline year of 2012,” she said. 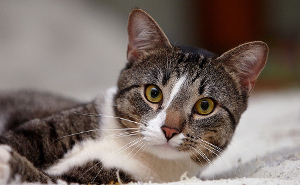 “And they’re pledging to save another 80,728 cats in 2016.” Both Alachua County Animal Services and the Alachua County Humane Society are participating. Expanding the shelter to include every cat-lover in the community has gotten Million Cat Challenge shelters to this milestone more quickly than anyone predicted. For instance, Miami-Dade Animal Services dropped euthanasia by more than 1,000 neonatal kittens last year by asking concerned residents to help save some of the most vulnerable lives. “Instead of bringing a litter of newborn kittens to the shelter, an animal control officer might ask if he can deliver a kitten milk replacer kit to your door,” said Miami-Dade Chief Veterinarian Maria Serrano. Hurley and Levy, both pioneers in the study and practice of shelter medicine, knew that shelters were ready for change. Still, even they were staggered by the groundswell of support that quickly surrounded the Challenge. 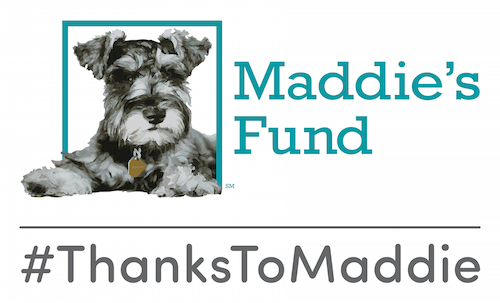 Maddie’s Fund, a leading animal welfare foundation, took the conversation from a dream to a reality that has already changed the animal sheltering landscape. In celebration of 500,000 feline lives saved, participating shelters, supporters, and animal lovers everywhere are invited to join the Challenge on its Facebook page on Monday, April 11, at 3 PM Eastern Time. Confetti, a celebratory video, and kittens galore will be part of the festivities as supporters gather to watch the Million Cat counter roll over.